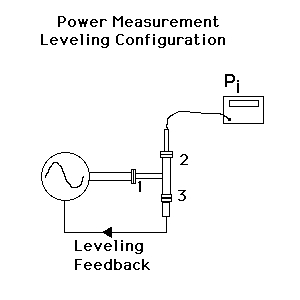 Often power calibrations are performed using a power splitter in a leveling configuration to provide a stable available power to compare a standard power measurement device with an unknown. From this configuration one can establish the equivalent source reflection coefficient through the scattering parameters of the power splitter. To perform an uncertainty analysis of this type of power calibration one needs to determine the uncertainty associated of the source reflection coefficient as part of the overall analysis. This article provides a sensitivity analysis that is one component of that uncertainty analysis. The uncertainty associated with the measured S-parameters magnitude will be denoted δsij, and the uncertainty in phase δθij. 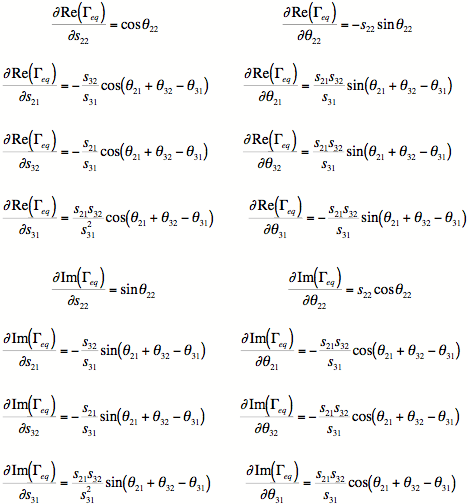 Note that in these equations all phase and phase uncertainties are assumed to be expressed in radians. Here an equivlant source reflection coefficient uncertainty estimate has been presented that can be part of an overall uncertainty analysis of a power measurement system. It assumes that one has one has made S-parameter measurements of a power splitter and has determined the uncertainty associated with those parameters. This in itself may not be a trivial task. Please feel free to comment on this article in the forums. G. F. Engen, Microwave Circuit Theory and foundations of microwave metrology.